Designed for In Furrow and On Land operations, the EO/LO are robust ploughs requiring lower lift requirements than other brands. The 300 heavy duty head stock provides the necessary strength for smooth reversing. The Kverneland unique steels and the heat treatment of the complete plough guarantee the longevity. 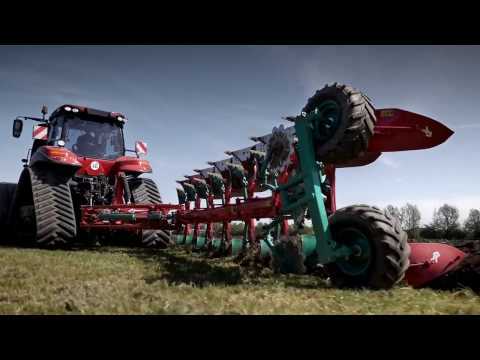 In its on-land configuration the plough’s massive offset (adjustable up to 3.4 – 3.7 m, depending on furrow width and interbody clearance) allows the tractor to be positioned exactly to the drivers’ requirements.